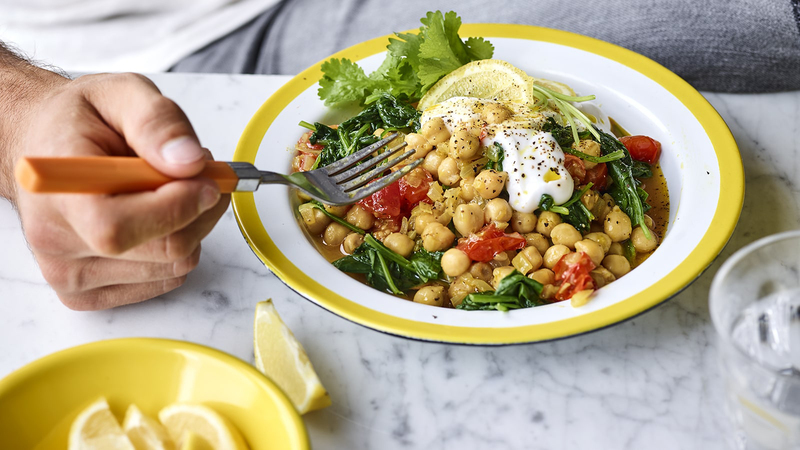 A perfect dinner for Meat Free Monday, why not make this delicious and healthy vegan chickpea curry from The Body Coach. Joe Wicks’ Veggie Lean in 15 is full of tasty, healthy vegetarian and vegan recipes. Full of delicious, healthy vegetarian and vegan recipes, as well as exclusive workouts from the Body Coach himself, Veggie Lean in 15 is perfect for everyone looking to get into shape - from full-time vegetarians to flexitarians looking to reduce their meat and dairy intake.